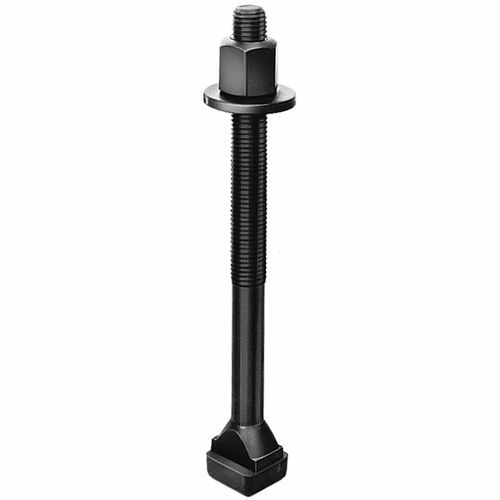 This product is a clamping bolt for t-slots, manufactured by AMF ANDREAS MAIER. It is equipped with DIN 6330B hexagon nut and DIN 6340 washer. It also includes grind T-groove, rolled thread, stamped that has AMF logo and solid class. This has M6 - M12 steeled to strength class 10.9, M14 - M42 steeled to strength class 8.8.